Detox (detoxification) is the first step of marijuana treatment and begins with abstinence or the cessation of marijuana use. Detox is necessary for a full and sustained recovery from marijuana dependence. Any further use can easily re-ignite the biological addictive process and/or the reliance upon marijuana for mental or emotional coping. The body cannot manage a ‘little’ of a substance to which it has become addicted without risking full relapse. Physical and psychological cravings will continue to arise when one is in need of a coping strategy unless other methods of coping are learned. Lead to both physical and psychological dependency. Cause uncomfortable withdrawal symptoms after abstinence. Those with co-existing psychiatric conditions, and/or polydrug use, can exhibit serious symptoms due to the stress of detox. Therefore, it is recommended that one seek out a marijuana detox program that can treat co-occurring mental health and marijuana dependence in such situations. Many are unsuccessful detoxing in their usual using environments. Cravings can be especially strong in the first few days of abstinence. Consequently, a safe, therapeutic and drug-free environment is helpful. Respite from the environmental triggers that induce marijuana cravings during detox can dramatically improve chances of a successful detox and a sustained abstinence. Marijuana is a commonly used drug with the potential to bring about long-term and multiple negative effects in one’s life, but medical supervision is not required for a safe and successful marijuana detox if there are no other complicating circumstances. Medical assistance is recommended if the person is using other drugs in conjunction with marijuana. Depending upon the type of substances used, there can be serious health risks during withdrawal and detox along with increased subjective discomfort. Don’t wait Hear from others on their journey through addiction and recovery Medical supervision is also indicated when Cannabis-induced disorders impair daily functioning. These disorders can be as severe as a freestanding mental illness. Cannabis-induced Psychotic Disorder can be indistinguishable from schizophrenia. Cannabis-induced Anxiety Disorder can cause severe anxiety and panic attacks, limiting one’s ability to perform daily tasks. Some individuals may require prescription medications to resolve such disorders and their accompanying symptoms. Although marijuana is consistently touted as a ‘safe’ drug, continuous use can lead to several psychological problems that may exacerbate both the use of marijuana and the development of serious mental distress. If you or a loved one need help to successfully stop marijuana use, please call 1-888-993-3112Who Answers? to speak with a a treatment support team member about the marijuana detox and treatment options available in your area. Depressive symptoms like fluctuating moods, irritability and sleep disturbances. Generalized body aches and pains. short-term sleep disruptions. Detox support professionals provide services throughout detox that help ease discomfort, manage detox symptoms and encourage detox completion throughout the process. Marijuana detox lasts for approximately 2 weeks. The peak time of discomfort is usually within 2-3 days of last use, although heavy and frequent users may feel uncomfortable when their next ‘scheduled’ use would have been. Withdrawal induced insomnia may take up to 30 days before a normal sleep schedule is resumed. Marijuana detox treatment can be individualized to meet the needs of you or your loved one. For example, dual diagnosis programs offer marijuana detox and treatment as well as treatment for other mental health concerns at the same time. Management of discomfort with medications when indicated. Coping strategies for stress management and enhanced self-care. Many feel the negative toll of marijuana and want to stop using, but need assistance to successfully do so. 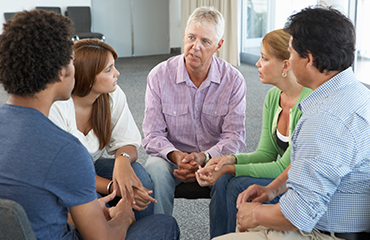 If you or a loved feel the need for a structured and supportive detox program, you can call 1-888-993-3112Who Answers? to discuss your options today. Availability of adjunct psychological therapies. 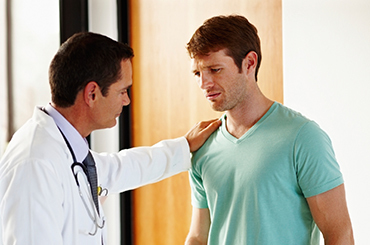 Referral program to continue treatment in an inpatient or outpatient facility. Availability of family or spousal counseling to counteract the negative effects of marijuana dependence.